BOSTON — In the wake of the devastating impacts of Hurricanes Irma and Maria, the Baker-Polito Administration today outlined the efforts Massachusetts is undertaking to provide assistance to the Commonwealth of Puerto Rico, including the formation of a task force that will ensure that the state is prepared to support residents of Puerto Rico who chose to self-evacuate the island and seek temporary or permanent residence in Massachusetts. State officials remain in communication with the Government of Puerto Rico and federal authorities and are ready and willing to offer emergency assistance, such as personnel and equipment, at the request of Puerto Rico. MEMA is in the process of working with federal and state agencies and non-profit organizations to ensure that the state is ready to provide support for people who self-evacuate to Massachusetts from Puerto Rico. The Baker-Polito Administration is committed to meeting the needs of disaster survivors who seek temporary or permanent residence in Massachusetts by providing financial, housing, health care, jobs, and reunification services, as necessary. Representatives from MEMA, Housing and Community Development, Health and Human Services, Education and several other state and local agencies are convening to start preparations to support those who seek assistance in Massachusetts. 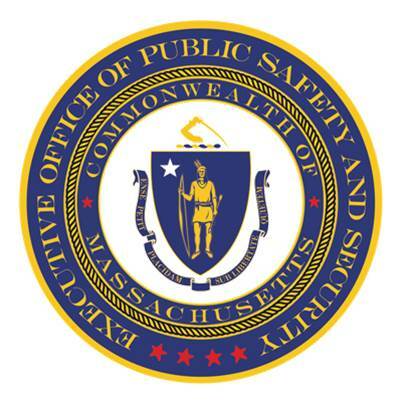 "The Massachusetts Emergency Management Agency and the Massachusetts National Guard have assets and personnel at the ready and can mobilize them post-haste if called upon to do so," said Executive Office of Public Safety and Security Secretary Dan Bennett, who oversees both agencies. "Puerto Rico and her citizens are foremost in our minds and we have made all necessary preparations to provide maximum support to ease the terrible suffering there." You can help support the recovery & reconstruction of Puerto Rico by directing donations to United for Puerto Rico, at http://unitedforpuertorico.com. Donate to other disaster relief organizations working in Puerto Rico. Many of these organizations are listed on the website of the National Voluntary Organizations Active in Disaster (VOAD): https://www.nvoad.org/current-disasters/werespond/. The National VOAD asks people not to send unsolicited donated items. Massachusetts is a member of the Emergency Management Assistance Compact (EMAC), which functions as a national online system available for all states and territories, including Puerto Rico, to facilitate mutual aid and coordinate the provision of certain emergency management assets. MEMA continues to regularly monitor and respond to EMAC requests and is ready, willing, and able to assist if a request is made that the Commonwealth is able to fulfill; indeed, MEMA responded to an EMAC request from Puerto Rico to provide an EMAC support team, but Puerto Rico confirmed that the capability had been filled by another state. The Massachusetts National Guard (MANG) is in contact with the National Guard Bureau (NGB) as they work to identify and prioritize military resources needed for response operations in Puerto Rico. Similar to the EMAC program, MANG is willing and able to assist in recovery efforts should federal officials identify and request one of their resources.